Katherine Nanny's first husband died in 1663, leaving her with a son, a daughter, and a "dwelling house...ware house and wharffe...near the drawe-bridge." She subsequently married Edward Naylor, and had two more daughters. But in 1671, she asked for a divorce, accusing Edward of beating her, of kicking one of the girls downstairs, of "whoredomes," and "abuses of the marriage bed." Edward fled to New Hampshire with their pregnant servant girl, whom Katherine had accused of trying to poison her beer. Their domestic disaster might have lain undisturbed in Suffolk County, Massachusetts, court records had not the city of Boston decided to replace its aging expressway, and to set aside an estimated four million dollars for archaeological research in advance of the construction of the new 11-billion-dollar Central Artery/Tunnel. Archaeologists compared every historic map they could find with the route of the so-called Big Dig, identifying four areas where remains of colonial America might have survived. In Charlestown, where an approach tunnel would run through an early town square, they found postholes from Governor John Winthrop's Great House, built in 1629, interspersed with foundation stones for Three Cranes Tavern, built in 1635 and destroyed during the Battle of Bunker Hill. The site also yielded fragile porcelain tea bowls, delicate dessert glasses, and fine tableware, suggesting that tavern customers enjoyed a sophisticated life-style enhanced by trade with Germany, France, Holland, Spain, Italy, and the Orient, apparently undeterred by navigation acts forbidding trade with whatever country the English might be at war with at the time. Archaeologists found Katherine Nanny's privy, in what had been a small yard, in downtown Boston under a parking lot beneath an elevated portion of the expressway, surrounded by acres of concrete and steel. It had been "a three-seater, so they may have been renting," says Bob Hasenstab, project archaeologist for the contractors, Bechtel and Parsons Brinckerhoff. An analysis of parasites by Leslie Driscoll of the University of Massachusetts, Boston, revealed the eggs of two different intestinal worms, Ascaris lumbricoides and Trichuris trichiura. "Animals sharing the space, children playing in the dirt, and the possible reuse of feces as fertilizer would be conducive to the parasites' ability to successfully continue the cycle of infection," says Driscoll. "Parasite eggs can remain viable for a long periods until conditions are favorable for continuation of their life cycles." Driscoll adds that other Ascaris and Trichuris species with similar eggs are strongly associated with pigs and that other species of intestinal parasites could have been transmitted by, among other pathways, the dogs that roamed the streets or by fish from the market." Further information on the privy's environment was obtained from an analysis of beetles by Allison Bain of the Université Laval in Quebec. She believes that the privy had been "adjacent to a pasture, farm buildings, a pond or other body of water, not far from a mature forest with oak, elm, and conifers." The privy had been cut into clay and lined with brick, and in 1708 it was sealed with clay, providing a wet environment that preserved its contents. Although the sanitation might compare with that of a developing country today, the Nanny-Naylor family was not poor. Archaeologists found 158 fragments of silk and fine woolen textiles in the privy. "The family that lived at this site used high-quality fabrics with expensive weaves, mixtures, and fancy trims representing fashionable seventeenth-century dress," according to Margaret Ordoñez and Linda Welters of the University of Rhode Island. Scissors, a needle case, an unusual quantity of silk ribbons, and scraps with cut edges suggest that Katherine Nanny-Naylor might have mended or trimmed her family's clothing. Or had someone discarded these elegant scraps to comply with Puritan sumptuary laws forbidding excessive display, especially among servants and laborers? Perhaps Katherine dumped her roving ex-husband's clothes into the "office" after he wrote from Pemaquid, Maine, asking her to send them, "as I have none to wear, especially linen and shoes." Five waterlogged shoes, including three stylish children's shoes, also turned up in the privy. All had been made with fine leather, possibly goatskin, with the flesh side out, in an unusual gap-toe style. One had a set of holes to attach a decorative rosette. A fashionable men's shoe with a stacked leather heel was found to be "quite worn and may indicate the taste of the intemperate, philandering Edward Naylor," according to Jeffrey Butterworth of the University of Rhode Island. A pipe stem dated to 1672 coincides with Naylor's hasty departure, perhaps a good time dispose of an old shoe. The fifth shoe, also made of fine leather but without heels and more practical, would have fit a young adult. The remains of 42 beetle species, 22 of which were European, one possibly Caribbean, turned up in the privy. Five of the beetle species normally attack wood, according to Allison Bain, suggesting that woodworking took place in the vicinity, such as a sawmill, a furniture shop, house building, or stacks of firewood--all expected activities in a frontier community. What was not expected was a large number of granary weevils (Sitophilus granarius), which feed on grain and flour. Pollen from grain crops found in the privy reinforced the weevil findings. "Massive quantities of wheat, barley, oats, and rye, and an unusually high concentration of maize pollen are most reasonably explained as grain waste, perhaps from the repeated dumping of grain or grain products," says Gerald Kelso of Cultural Ecology Laboratories in Golden, Colorado. "Spoilage, necessitating disposal, must have been frequent." "This cycle of destruction would have had some impact on the economy of this household," adds Bain. Most intriguing of all were 250,000 seeds and pits from fruits, nuts, and spices, analyzed by Lawrence Kaplan and Marie Mansfield King of the University of Massachusetts, Boston. Cherry and plum pits made up 95 percent of the total, far more than any normal household would consume. Was Nanny-Naylor making brandied cherries, or a steeped alcoholic drink called cherry bounce? "It looks like she was making preserves," says state archaeologist Brona Simon. "I think it was her business, a cottage industry." "There had to be something going on," Bob Hasenstab agrees, speculating that granary weevils, pollen, spoiled flour, and cherry pits meant Nanny-Naylor was baking cherry pies. Norma Jane Langford teaches communication at Northeastern University. Click here for the online version of the Museum of Science's exhibition on the Central Artery/Tunnel Project. 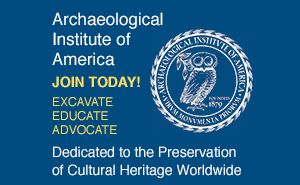 Robert Hasenstab, project archaeologist from Bechtel and Parsons Brinckerhoff, will speak at the Boston Public Library on Thursday, October 9, 1997. Call Ellen Graf, (617) 536-5400, ext. 336 for details. Allison Bain, of the Université Laval in Quebec, will discuss archaeoentomology and the urban environment at the African Meeting House at 8 Smith Street on Beacon Hill on October 9. Call Angela Blocker, (617) 742-1854 for details. Boston Landmarks Commission, Environment Department, City of Boston, City Square Historical & Archaeological Site, 1992. Lauren J. Cook and Joseph Balicki for Timelines, Inc., Archaeological Data Recovery; The Paddy's Alley and Cross Street Back Lot Sites (BOS-HA-2/13), Volume II, Appendices A-D, and Volume III, Appendices E-I, Draft, Littleton, MA, 1996. Ricardo J. Elia and Nancy S. Seasholes, Phase I Archaeological Investigations of the Central Artery/Third Harbor Tunnel Project in Boston, Massachusetts, Office of Public Archaeology, Boston University, 1989. Georgess McHargue for Timelines Inc., Piety and Profit: Three Archaeological Sites from Boston's Past, Draft, Littleton, MA, 1996. Public Archaeology Laboratory, Inc., Archaeological Data Recovery, City Square Archaeological District, Central Artery North Reconstruction Project, Charlestown, Massachusetts; Volume VII, September 1994. 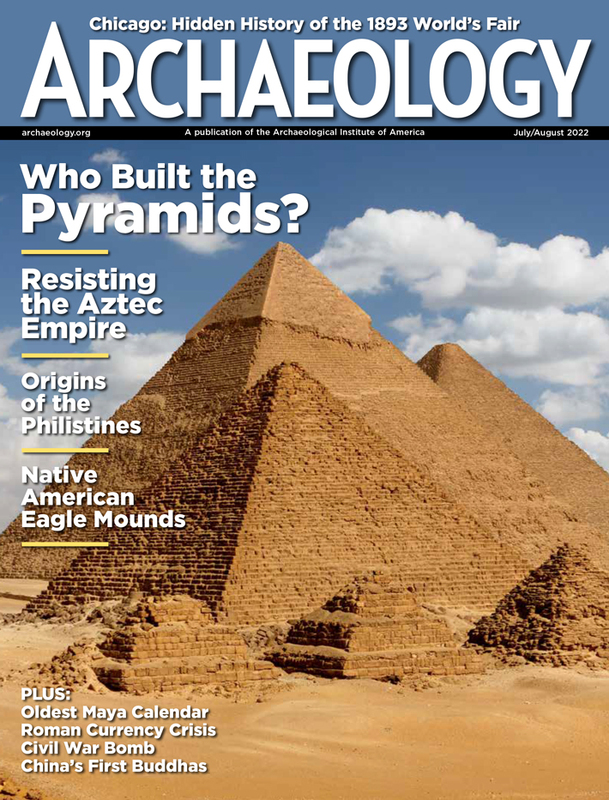 Public Archaeology Laboratory, Inc., Redware and Redcoats: A Popular Report on the Archaeology Performed in Charlestown, Massachusetts for the Central Artery North Reconstruction Project, 1994.